Golden Shells LLC, 9780998345208, 40pp. 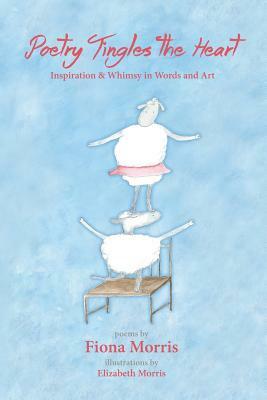 This book is an inspirational collaboration between mother and daughter. Fiona Morris, daughter, is a young woman with Down syndrome who is also a gifted poet. Elizabeth Morris, mother, is a painter whose artwork is inspired by her daughter's whimsical prose and startling imagery. Nature has been the muse that's inspired much of Fiona's work, and she observes it with unexpected insight and originality of expression that belie her young years.